Scoring the full point when you enter the last round with half a point advantage, and your pursuers are the like of Carlsen and Aronian, not to talk about the young star Wei Yi, can be hard. Psychologically you aim for a draw, hoping that the chasers won't be able to win their super-decisive games. Of course, this is how it should be, unless your opponent decides to throw away his game in a way that, frankly, is almost unbelievable. Today Nepomniachtchi was lost after 9 moves. Now, a bad day can happen to any and everyone, but this just seemed a bit too much. 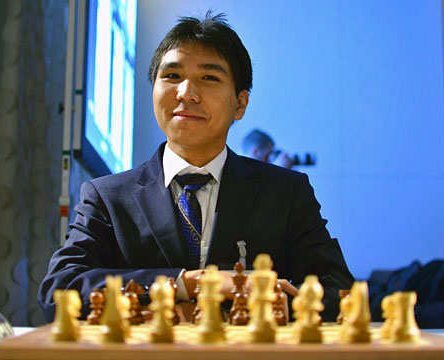 Anyway, Wesley So continues living his magic moment, and after the Sinquefield Cup and the Grand Chess Tour, he conquers the old and noble Tata Steel Tournament. With Caruana not doing so good at the Gibraltar Open, now Wesley is the second player in the world, wit a striking 2822 rating, "only" 16 points behind Carlsen. Now three Americans sit in the first 6 positions in the live rating list. Aronian and Wei Yi both lost in the last round, whereas Carlsen drew his former challenger to the World Championship Sergey Karjakin. This means that Carlsen finished in second place, alone and probably a bit sad about the chances he missed during this event. We are so used to see Carlsen win tournament after tournament, that it's almost disappointing when he doesn't win. But, hey! He got second, with 8 points out of 13. Not bad, uh? A special mention goes to the lowest rated player of the tournament, the 25-years-old Indian GM Baskaran Adhiban. He had a great event, and placed third, sharing bronze with Aronian and Wei Yi. Bravo! today he won a nice game with Rapport. Winner of today's New In Chess sponsored Trivia is wstaylor. Congratulations!